When you witness a crushing tackle during a game of Monday Night Football, you probably wonder how these guys can continue to get out and play again the following week. Besides simply being big and tough, one way players in the National Football League (NFL) get back on their feet is through chiropractic treatment. Sports chiropractors focus on treating injuries of the muscles and bones. With back pain alone appearing in as many as 75% of professional athletes every year, and possibly even a greater percentage of football players, NFL players are requiring chiropractic care for their aches and pains. 3. 31% of NFL teams had an official chiropractor on their staff. Stump JL, Redwood D. The use and role of sport chiropractors in the National Football League: A short report. Journal of Manipulative and Physiological Therapeutics 2002:25(3), p. e2. Chiropractic is a simple concept: Straight is better than crooked. Stay straight and stay strong. Virginia Tech's football team has had an impressive record over the last several years. Head Coach Frank Beamer took the "Hokies" to a Big East Conference championship where they finished number 2 in the Associated Press. Some of the credit for their physical health and recovery from injuries is attributed to chiropractic care. Dr. Greg Tilley, a chiropractor from Blacksburg Virginia started caring for various members of the team after approaching the team physician to discuss how he could assist the team. "In the beginning there were times when I only saw one or two patients," says Dr. Tilley. "Now I have been allocated an office in the sports complex where I have my own portable table, and they have a schedule where the trainers can schedule times for their athletes to see me. Junior quarterback Grant Noel began receiving adjustments in July of 2001. He feels that chiropractic gives him better flexibility and range of motion. "Just getting my back adjusted and loose helps with my trunk mobility as far as twisting and throwing." With the success and testimonials of the football team, other athletes have also begun chiropractic. Athletes from the schools swimming, diving, lacrosse, soccer, and basketball programs have begun regular adjustments. Mike Gentry, the assistant athletic director for athletic performance, summed it up by saying, "I see chiropractic as having two functions from my perspective. It helps our athletes return to competition faster if they have sustained some injuries, and secondly, it seems to be preventative, in the sense that it keeps our athletes more mobile and flexible and feeling better." The Aug. 17 /PRNewswire/ reported a story about professional golfers using chiropractic on a regular basis. Dr. Tom La Fountain is a chiropractor who travels with the PGA tour and regularly provides chiropractic to the pros. Dr. La Fountain reports that up to 85 percent of the injuries on the PGA Tour and Senior Tour relate to the spine, and about 70 to 75 percent of those golfers receive regular chiropractic care. The August 21, 2000 issue of the Salt Lake Tribune reported that senior pro golfer, Doug Tewell was delayed entering the Senior PGA tour due to spinal problems. Tewell injured his back while playing a round of golf with his son in Oklahoma. The injury kept him in bed for three days and required the use of a walker for two weeks. On the recommendation of fellow pro Bob Tway, Tewell decided to see a chiropractor. His comments in the Tribune article summed up his reactions,"the most incredible thing, just a few little jerks," Tewell said. "I thought I had met Oral Roberts." Professional women golfers also utilize chiropractic. Dr. David E. Stude, a chiropractor and associate professor and faculty clinician at Northwestern Health Sciences University, lectures across the country with Lisa Masters, an LPGA golf pro, emphasizing the importance of chiropractic care for golfers. Dr. Stude states, "Normally, each vertebra in the spine moves independently a certain number of degrees when our whole body is involved in an activity. If that is not happening, for example, if two or more segments move as a whole unit, rather than moving independently, it can lead to one kind of vertebral mechanical dysfunction. "Being a chiropractic patient has really helped me immensely." "
lifting weights and seeing a chiropractor on a regular basis has made me a better golfer. I've been going to the Chiropractor for as long as I can remember. It's as important to my training as practicing my swing." The May - June 2002 issue of Today's Chiropractic Magazine featured a story of the Mississippi State University football team's usage of chiropractic care. In the article head football coach Jackie Sherrill stated, "Our players have no qualms about chiropractic." He further stated, "When we say, you have an appointment with Dr. Allen (their team chiropractor) they don't miss their appointment. They have enough belief and confidence that it does help them or they would not be getting on the (adjusting) table." The endorsing remarks from coach Sherrill continued in the article. He stated that even when he was head coach for Texas A&M he was using chiropractic care for his teams. "We were fortunate that we were able to use chiropractic services back in the early 80's." He continued, "Is there a place for it? Definitely yes. We're very fortunate because our medical staff and Dr. Allen work very well together." Dr. Allen the team chiropractor explains his success with the team by saying, "There are problems in the neck that can cause nerve interference and definitely effect equilibrium, and you just remove the nerve interference and it goes away. In whiplash injuries, the head and neck goes into a flapping motion, and football players can experience whiplash-type injuries every time they hit the field. What we want to do is make sure the athletes have flexibility and stability." Reattachment Technique corrects ligaments and tender injuries, naturally and quickly. The pain was excruciating. The doctor, a man she had just met, was driving his thumbs into the sore tissue around her right knee, which her otherdoctors insisted required surgery. Instead, here she was in Austria, praying, biting her lip and trying to remember to breathe as the doctor's thumbs probed deeper. Nine days had passed since DeLisha Milton-Jones had suffered what two MRIs revealed as a torn ACL, and she still couldn't bear weight on her right leg. But ever since twisting the knee during practice for the USA Basketball Senior National Team on Feb. 22, the 6-foot-1 forward refused to believe the ligament was torn. Something inside of her urged her to believe the knee would be OK. So turning her back on traditional medicine, Milton-Jones was relying on the Austrian physician, Dr. Mohammad Khalifa, and his "knee tissue manipulation," which is believed to stimulate re-growth of the tissue in a non-invasive procedure. Khalifa told Milton-Jones his hands are so sensitive that he can feel the nerve endings in the body, and by rubbing his thumbs in a circular motion on the front of Milton-Jones' knee, Khalifa believes he stimulates those nerve endings to help encourage the body's natural healing process. 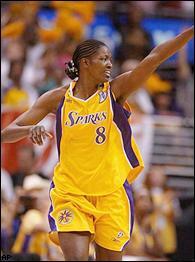 Milton-Jones, who has started for the Los Angeles Sparks for the past five seasons, wanted desperately to believe. The WNBA season was just around the corner, and the Olympics were a mere six months away. Surgery would surely put both in jeopardy, so Khalifa and the two 90-minute sessions a week he required were certainly worth taking a chance on. If only those thumbs would stop digging. And then, they did. "Stand up," Khalifa said. Milton-Jones grabbed for her crutches, but Khalifa shook his head. Then he asked the unthinkable: "Jog in place." So Milton-Jones took a tentative step. Quickly, she realized the knee felt stable, almost normal. And pretty soon, Khalifa had her jumping off the injured knee as if going for a layup, then doing defensive slides -- completely pain-free. "It was a miracle," Milton-Jones said recently when recounting the experience during a phone interview. How else can you describe her recovery? Although two MRIs -- one by USA Basketball shortly after the initial injury and a second test five weeks later by the L.A. Sparks -- indicated a complete tear of the ACL in her right knee, Milton-Jones' latest MRI shows scar tissue but no tear. Nancy Lieberman, an ESPN analyst and Hall of Famer, is a regular contributor to ESPN.com's women's basketball coverage. This is why you would want to use a chiropractor as your first choice for all health care decisions. You now have a better choice. "Why Teen Athletes Get Adjusted"
By Dr. Eric PlaskerWhy do teenage athletes get adjusted and enjoy chiropractic care so much? The same reasons professional athletes like Emmitt Smith of the Dallas Cowboys, John Smoltz of the Atlanta Braves, and Olympic Gold Medallist and World's Greatest Athlete Dan O'Brien enjoy regular chiropractic care. Chiropractic helps athletes improve their athletic performance, heal quicker from injuries, increase flexibility and stamina, and much more. 1. Improving athletic performance If you had a racecar would you make sure your front end was aligned properly before a big race? Of course you would because you know that when your car is aligned properly it will run faster, more efficiently, and with less strain on the cars structure. This is how chiropractic care relates to your body and athletics. And there's more. To perform at your peak, your body must receive signals from your brain, and your brain must get messages from your body. Have you ever been on a cell phone when there was static on the line? Interference over your nerve pathways has the same effect. It reduces the communication between your brain and your body and affects your ability to perform at your best. Chiropractic care removes this interference and keeps it out of your life through specific chiropractic adjustments. No wonder Dan O'Brien credits chiropractic for helping him win the Olympic Gold Medal. 2. Heal quicker from injuries People heal quicker from injuries, sickness, and everything else if they have good nerve supply from their brain to their body and back again. This is what chiropractic does! There are countless personal experiences from people who have limped into chiropractic offices with a sports or athletic injury, and leaped out to participate in their activity the next day. While not every person who goes to a chiropractor has this kind of experience because it depends on the extent of the injury, many people certainly do. Why do you think chiropractic has been one of the fastest growing health professions over the last decade? Chiropractic works! 3. Improve flexibility and stamina One particular study tested 2 groups of athletes in training. The first group trained without receiving chiropractic care. The second group trained and received ongoing chiropractic care as well. As you would expect, both groups improved. After 12 weeks however, there was a substantial difference in their results. The group that was not under chiropractic care showed a 4.5 % improvement while the chiropractic group showed a 16.7% improvement after 12 weeks. No wonder Evander Holyfield gets regular chiropractic care during his training, as well as before and after a fight. Travis Jones, a high school soccer player said, "chiropractic keeps me more flexible and agile. It definitely improves my soccer game!" His sister, Taylor Jones whose team won their league championship last year said, "Chiropractic makes a big difference. I wish my whole team was under chiropractic care." Rebecca Allen, a high school cheerleader, says, "I would not be able to cheer if it wasnt for chiropractic. It has made such an impact on my cheerleading that Im considering chiropractic as a career!" If youre involved in sports, dont you think its time you were examined by a chiropractor to see if chiropractic could make a difference for you? Chronic subluxations the spine leads to abnormal muscle contraction and laxity, deformation of ligaments and the spinal bones themselves eventually. The reason for the repetitive adjustments is because the spine and its supporting tissues (ligaments, tendons, muscles, and discs) have become anchored in the abnormal position, often since childhood. Due to the longevity of the spinal distortion, the spine will change back to normal at its own pace, which is not usually as fast as we'd like. Researchers have found that within two weeks, subluxations left uncorrected begin to become permanent. Because of these multiple tissue changes the corrective chiropractic adjustments make very small changes but added together over time will make the correction. An adjustment given on Monday will create a small improvement in spinal alignment but due to the chronicity of the subluxations by Wednesday the spine will drift back to its abnormal position. Therefore, it must be adjusted again on Wednesday and then again on Friday. As the adjustments start to add up and you do your home exercises consistently, the spine will gradually hold its corrected position and not slip back to its subluxated position. Reaction Time and Chiropractic Adjustments From the New Zealand School of Chiropractic, New Zealand, comes an interesting study about reaction times and the effects chiropractic adjustments have on them. In this study two groups were used to check reaction times. One group received upper cervical (neck) toggle adjustments, while the other group was a control group for comparison and only received a short period of rest. The results showed a marked improvement for the group that received an adjustment over the group that got nothing but rest. The group that got only rest did show an average decrease in reaction time of 58 milli-seconds which represented an 8 percent quicker reaction time. The group that received the chiropractic adjustment showed a decrease in reaction time of 97 milli-seconds representing a 14.8 percent quicker reaction time. The implications are far reaching. Imagine the benefits of being able to react quicker to traffic situations or any other crisis life might throw at you. Imagine also the benefit to the athlete who depends on reaction times in order to perform at a competitive level. 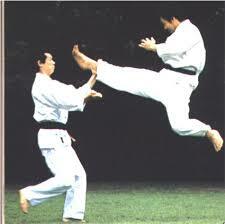 Today many top name athletes are regular chiropractic patients. In addition to recovery from injury most report the ability to perform better with chiropractic care. Now, thanks to the study from New Zealand , there is scientific proof of what the athletes have reported. Increased flexibility and Chiropractic Adjustments When any of these vertebrae are out of their normal position, the normal range of motion is compromised, abnormal and premature wear and tear occurs and most importantly your nervous system can be affected in profound and multiple ways. The vertebrae are designed to protect the spinal cord, which runs through a canal in the center of the vertebrae, and the 31 pairs of spinal nerve roots, which exit the cord in the intervertebral spaces. These spinal nerve roots serve as the connecting structure between the central nervous system (brain and spinal cord) and the peripheral nerves. Nerve impulses travel from the brain down the spinal cord and out the spinal nerves to all parts of the body. Similarly, nerve impulses from various body components travel to the brain via the peripheral nerves and the spinal cord. The nervous system is responsible for initiating and coordinating movement and for integrating all the physiologic activities of the body. Adapting to temperature changes, digesting a meal, responding to a stressful situation, running, and obeying a command are examples of activities mediated by the nervous system. To better understand my purpose, you need to understand the basis of chiropractic. Throughout history, chiropractic has been based on the fact that the power that made the body heals the body. Healing does not take place through the use or consumption of any pill, potion, or lotion. This is not meant to discredit the validity and result of any product which is used to enhance your health or well being by using that method. Nutrition, relaxation, exercise, and balance are critical in reducing subluxations (nerve stress). The brain is the master system of the body which controls and regulates all functions of the body. The route of communication is the spinal cord and branching nerves. More importantly, the brain gets much of its stimulation from the mid-lying joints of the body (primarily your spine). With this basic understanding, just imagine the impact of chiropractic in your life. What could you do with just 10% more energy? How much more effective could you be with 10% more mental clarity? You are probably wondering where 10% comes from, right? Well, research has shown that it takes as little as the weight of a dime on the back of your hand to significantly decrease nerve function - that is only one subluxation! How many subluxations have you been living with!! Why do teenage athletes get adjusted and enjoy chiropractic care so much? The same reasons professional athletes like Emmitt Smith of the Dallas Cowboys, John Smoltz of the Atlanta Braves, and Olympic Gold Medallist and World's Greatest Athlete Dan O'Brien enjoy regular chiropractic care. Chiropractic helps athletes improve their athletic performance, heal quicker from injuries, increase flexibility and stamina, and much more. Emmitt Smith is the NFL's all-time rushing leader. He is the only running back to ever win a Super Bowl championship, the NFL Most Valuable Player award, the NFL rushing crown, and the Super Bowl Most Valuable Player award all in the same season (1993). On October16, 1998 USA Today carried an extensive article on Emmitt Smith. Emmitt Smith said, "I started doing this( getting adjusted) on a regular basis about four or five years ago." "...I've become a big,big believer in servicing my body and making sure it is lined up properly and functioning the way it should be on Sundays." 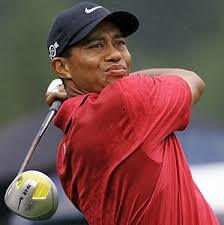 Tiger Woods is a professional golfer who is currently ranked the World's No.1. In 1995, Tiger ride the Chiropractic Centennial Float in the Pasadena tournament of Roses Parade. He also had his chiropractor with him during the 2005 Presidents Cup. Tiger's chiropractor worked on his ribs whenever he could during the tournament and Tiger was quoted, "Tom (LaFountain) did an awesome job. He kept me swinging." Lance Armstrong is a 7 time winner of Tour De France. Nike said in an article, "Jeff has been working with Lance since January of 1999, helping him to keep his body together for the harsh demands of the Tour de France. After last year's Tour de France, Lance said that he could not have won without Jeff's help. With Lance approaching his second victory, the same thing might well be true."